Generally speaking, I’m not a soup-a- holic. But then, if I think about it, there have been some memorably delicious bowls of soup in my life. Chicken soup with liver dumplings at the Cafe Savoy in Prague. A homemade Mulligatawny Soup I made with a McCall’s Cooking School recipe card. A green curry eggplant recently in Philadelphia. So I guess it’s not so much that I don’t care about soup, I just need it to be something out of the ordinary. I’m more surprised than anyone to find that I’m halfway obsessed with eating soup for breakfast right now. It’s an easy way to make sure I get a dose of veggies in the morning, and because it’s warm and cozy, it fills in for tea or coffee but I can eat it. Bonus! The soup-for-breakfast thing started with an attempt to recreate the eggplant soup from Philly, evolved through the experiments that produced Golden Cauliflower Soup, and have led to my most recent favorite: Silky Gingered Zucchini Soup. This recipe was developed during my Whole30+Autoimmune Protocol, so it’s compliant with all of those rules, which means it’s free of dairy, grains, eggs, and spices. For what it’s worth, I’ve also kept the fat content reasonable. I’m not afraid of fat, but I’m on also not on the team that thinks paleo requires diving face-first into a vat of lard. There’s enough fat in the recipe to make it taste great, but it’s not overboard. 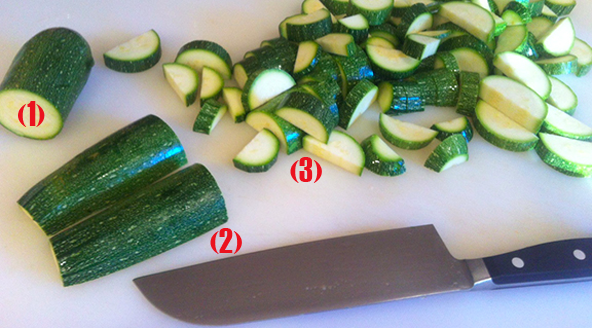 *You can cut the zucchini however you like; see photo below for the safest way. Heat coconut oil in a large soup pot on medium heat, 2 minutes. Add onions, then smash garlic cloves with the flat side of a knife or the bottom of a glass and add to pan. Stir often and cook until the onions and garlic are soft and golden, but not browned, about 7 minutes. Add salt, ginger, and black pepper; stir to combine. Toss the zucchini into the pot. Stir to coat the zucchini with fat, then cook ’til beginning to soften, about 5 minutes. Add the broth, bring to a boil, cover, and reduce heat to simmer. Let the zucchini cook 45 to 60 minutes until it’s very soft. VERY carefully, purée the zucchini and broth in a blender or food processor, or with an immersion blender. If you’re using a blender, work in batches, filling the canister only halfway and holding a towel over the lid while you purée. Eat immediately, or store in a covered container in the fridge. Tasty garnishes: My favorite right now is dried or fresh chopped chives. The green tops of scallions are also yummy. You would not be remiss if you drizzled a little sesame oil across the top (but only if you’re not on the AIP). Here’s what to do: Make sure your knife is sharp. Carefully (1) cut the zuke in half crosswise, then (2) cut those halves in half lengthwise to make half-moon-shaped logs, then place the logs flat side down, and (3) cut into 1/2-inch thick half-moons. Use BPA-free containers with tightly fitting lids. 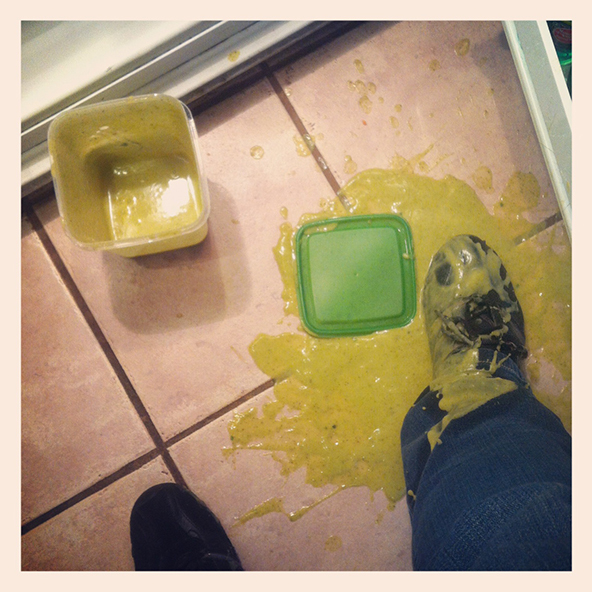 This is what happens when your reasonably-priced, BPA-free container from IKEA bounces on your tile floor. Ever since the Zucchini Soup Incident™, I use these more expensive, more reliable Rubbermaid BPA-free containers and Lunchbots for liquidy things. I have the same Ikea containers! And I’ve learned Lesson #2 the same hard/messy way lol. I am OBSESSED with soup for breakfast. OBSESSED. Sounds good. I mostly get my zucchini in pancake form. 🙂 When you cook as much as we do I think the kitchen accident percentage just must be higher! Darn it! Oy, I hate kitchen blunders. Two happened to me this week – thought I was using a teaspoon, but it was a tablespoon and then I was using canned coconut and the whole can came out into my bowl all at once, was only supposed to use 1/4 cup. Darn it. Yummy! I don’t think I’ll ever have it for breakfast (coffee clash) but I will make it for dinner. Soup is sometimes hard for me because it doesn’t fill me up very well and leaves me sort of hanging…plus without bread, how do I wipe clean the bowl and get all of the goodness? I will try this though because it sounds awesome! Salad wins over soup anyday, but this recipe looks fantastic. mmmmm…..making this! I AM a soup-a-holic. I have a delicious recipe for curried zucchini soup, but since (obv) curry != AIP no curried zucchini soup for me. Hoping this will be a good stand-in. Glad you are finished with your AIP experiment. It’s a blessing and a curse, no? I didn’t think I would notice a difference. And I didn’t. For the first two weeks. Then in weeks three and four, I realized that I was feeling pretty incredible. 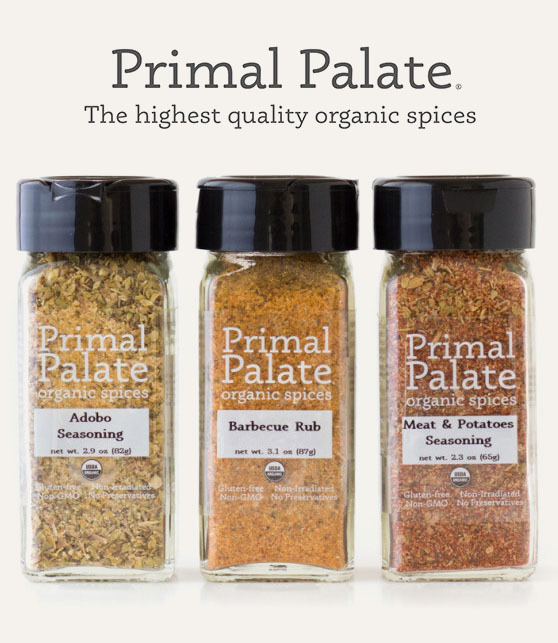 And when I tried to re-introduce some pretty basic things like seed-based spices, I felt less incredible. I’ve been eating paleo for around 2 years and never got that super-amazingness that everybody else did. Guess I just needed AIP. As a soup fanatic and a kitchen gadget-aholoic…I must ask what you recommend for an immersion blender. I am in the market for one, what do you use? I don’t use an immersion blender, but this is the one recommended by Nom Nom Paleo, who I trust in all things kitchen-y. Thanks for the recipe. I have a quick question: how can you make the soup super creamy and smooth? Believe it or not, I made soup like this last night — using butternut squash instead of zucchini– and I used the foodprocessor to puree it. It tasted great, but the soup had a sort of sediment (from the squash) throughout. What can I do to make it smoother? Do you recommend straining the soup before you mix it back in with the ginger paste? The zucchini gives it a creamy texture. Not sure what to say about butternut — it can be kind of grainy. You might try adding some coconut milk — maybe 1/2 cup — when you puree the squash. I broke a glass bowl in the sink this week. The fact the it broke in the sink, and thus was easier to clean up, only slightly offset the fact that it was #4 in a dwindling set of 6. 🙁 Will totally make this soup during the next zucchini season! I can’t wait to try this soup! Coming from a family of soup-lovers, I giggled at your first comment about your “meh” feelings toward soup. I bet if you asked my dad what is favorite food is, his response would simply be, soup. Perhaps it is b/c I had no idea how spoiled I was growing up with a mom that only served from-scratch soups made with homemade broth and fresh veggies and herbs. 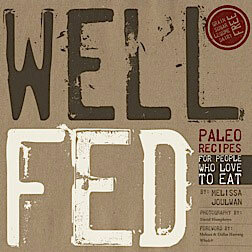 I’m still working on altering my favorite recipes (beef & barley and clam chowder) into my paleo lifestyle. Just made this and it’s delicious! After about three bites I lost the spoon and drank it from my bowl. Yeah…it’s like that. Thanks Mel! Please don’t get my comment wrong, but I think you have a typo in the recipe. Zucchini doesn’t need to simmer in any soup recipe more than 15 or 20 minutes (for cooked soups) to have the proper consistence for soup. Is it a typo or is it part of the recipe and there is a reason for it? Sorry about the comment and thanks for the recipe. I actually love zucchini either in raw or cooked soups I found it delicious. I have those containers too! They do not microwave either but I still love ’em to bits. I think I’m going to get my mom a couple of sets for Christmas – or maybe before Christmas since they do look a bit crap. But her two million containers with two million different lids always drive me nuts. HI Mel, I’ve signed up for my very first Whole 30! I made this soup, and love it. I can’t wait to try it for breakfast! I put toasted pumpkin seeds, toasted sunflower seeds and pine nuts as a garnish. So good. Thanks for all the helpful blogging! This looks and sounds yummy Mel. It’s heading into summer over here in Australia and a tad hot but will definitely mark it down as one to make in winter. BTW, have started reading the sandman slim books based on the recommendation on your website. I’m reading Kill the Dead at the moment. Was just laughing at Lucifer wanting to make a movie about himself that would tell the true story and needing Sandman Slim as his bodyguard during production. Soooo funny. Had to thank you for bringing the books to my attention. At home sick today and craving soup, just three ‘big’ ingredients and a bit of spice made an amazing meal. Thanks for cheering me up. I hope the soup fixes you right up! I’ve been eating it for three weeks in a row and still not tired of it. SO comforting! That was divine…thank you for the recipe. I served it with a scoop of organic plain yogurt on top, which paleo dieters probably can’t but it was delicious. Thanks for this recipe!!! Made it for dinner last night, simple, easy and super YUM!!! Somehow I missed this post until you ran the Lunchbots one today. I dropped one of those BPA-free containers when I took it out of the freezer a couple of months ago. Not only did it have about 4 POUNDS of beef bones I was saving to make stock, but it actually broke into SHARDS when it hit the floor. Since I dropped it onto my bare foot, not only did my middle toe get smashed good, but I also ended up with a deep vertical slice thru the end of the toe too. Wish I had had a Lunchbot then … still would have had the smash, but at least no cut! Thank you so much for the delicious soup recipe – and I’m not even a Paleo dieter although I’m trying to convince myself. 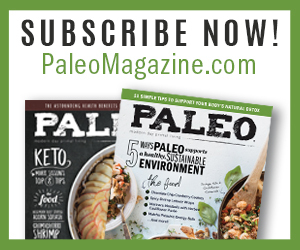 I just would need somebody to cook all those wonderful paleo recipes for me… And I’m from Prague born and raised but now living in CA. So enjoy your trip! One of the best ways to convince yourself is to just eat some great paleo food and little by little, eliminate the stuff that doesn’t make you feel good. Good luck to you! We love Prague so much — we’re hoping to live there for a few years. Really interested to see what it would be like to live in a foreign city and roll with all the surprises and cultural differences. This sounds so great, with so many great comments! I was especially happy when I thought I had found something to use up my ginger – until I noticed the *paste* part. Have you ever made this with fresh ginger??? Thanks! I use powdered ginger because it’s convenient. You can use fresh — sub a few tablespoons ground fresh for the powdered. Making this now with a little Vadouvan curry added. This will be my breakfast a la Mel this week. I just had a bowl for breakfast (along with chicken+broccoli+sweet spuds). I really feel like it kicks my day off right! This has become a regular on our meal list now, especially with the cooler weather. If I don’t have a batch of it already made, I find myself craving it like crazy. I learned my lesson and made a double batch today so I can always have some ready in the freezer. Thank you so much for this recipe! It’s nice to have something easy and delicious to whip up. This is my 2nd batch. Oh so good! I subbed a TB of nomnompaleo’s Magic Mushroom Powder for the salt. Divine! Totally a tinkerer – made it straight and made it with some frozen spinach added in. I kinda like it better with spinach! This is also a must for really good bone broth – the flavor shines. I don’t have coconut oil. Is olive oil the same? Generally speaking, you only want to use olive oil on salads or as a drizzle on cooked foods. Heating olive oil on too high a temperature causes it to oxidate, which can cause inflammation in the body. You CAN use olive oil on very, very low heat… but this soup boils, so that’s high heat. You can use clarified, grassfed butter (ghee) instead of coconut oil or animal fat, like lard or tallow… all of which are OK to use on higher temperatures. If you really have no choice but olive oil, it’s not the worst thing in the world — but you should definitely investigate other fats for cooking in the future. This looks absolutely delicious. I love zucchini in any form. It looks like there may be a typo, though. The ingredients call for 1/2 tablespoon + 1/2 tablespoon coconut oil, but the directions call for making the ginger paste with 1/2 teaspoon oil. Thanks for catching that! I’ve updated the recipes completely to better reflect how I make it now. I’ve tested and re-tested it a bunch of times for Well Fed 2 (and because I eat it every week), so this recipe is much easier and perfectly delicious. Enjoy! I can not wait to eat this soup and induldge for breakfast!!!! Thankyou!!! I also have just purchased your book after finishing my first whole30. Just love your book and wish I had it at the start. Just means I’ll have to do another one! Just a quick note to let you know your tips are just amazing for food preparation…..I have a 9 month old and feeding me is the hardest part!! We are raising her to eat what we eat so all your tips are going to make it so much easier to feed bub and us! Also, Is it possible for you to quote Celsius and grams in your ingredients and instructions? Writing to you from Australia. Wonderful! I used a pressure cooker, with about 1/2 the broth: 7 minutes under pressure. There is nothing I would add to this, very unusual for me! That must be the fastest soup in history! Glad you liked it… thanks for letting me know and for sharing the pressure cooker tip! Found a zuke “club” hiding in the garden this morning – this sounds like a luscious alternative to zucchini bread! Okay, so I just made this twelve days ago, but needed to crank out something quick for dinner tonight (! ), so made it using yellow summer squash, gelatinous chicken broth (from the simmered leftovers of a formerly roasted chicken) and added all the last remnants of chicken meat picked off the bones. I did not puree, but instead just mashed it (carefully- very splashy”) with a potato masher. Yum and yum! Obviously, this is a great “template” recipe! That sounds so tasty! I’ve been making my soup lately with 1/2 chicken and 1/2 beef broth, and it’s really good. I love how many ways you can modify this recipe. AND, it is amazing topped with chives and avocado! Thanks for the recipe. I made a quadruple batch and then pressure canned it at 11 pounds of pressure (I’m 1500 feet above sea level) for 75 minutes (pints). Quarts would be 90 minutes. Next time, because of this long processing time, next time I am going to cook the zucchini for a shorter period of time initially. Yes, this freezes great. Be sure to defrost it in the fridge! Pingback: Fall is closing in on us! What a great recipe! Loved it!! Although next time I might add a 1.5 tsp of ginger as the heat of just 1 tsp was not enough for me (can’t use black pepper as I’m on AIP, day 8). Even hubby loved it, even though he thought it was a cucumber soup :). He hates zucchini and I knew he wouldn’t even try it if I told him the truth. I did fess up half way through the meal when he said he wouldn’t mind having it again. Success!!! Truly yummy and so easy to make. Thanks Mel for another delicious recipe. HA! The old vegetable switcheroo… love it. To amp up the ginger, you might also want to try grating some fresh ginger on top. That should give it a sharper bite. Glad you like it! I make it every week and keep waiting to get tired of it, but it hasn’t happened yet. Definitely going to try this recipe! As a matter of interest, when you have it for breakfast, what do you have on the side for protein for Whole30? Or does the chicken broth provide enough? I usually eat protein (grilled chicken, leftover meatballs, ground beef) mixed with collard greens or spinach and coconut oil as my main dish, then have a mug of zucchini soup on the side. Upon finishing making this soup, I had a small bowlful and thought to myself, “this is so good!” Then I ladled out another bowlful and added a drizzle of toasted sesame oil. Oh my, it was amazing! This is what I’ll be eating for every meal until it’s gone. Thank you for the great recipe! No exaggeration: I’ve been making this soup every week for a full year. I never get sick of it. Really glad you like it, too! I am following a very strict elimination diet per the book “Digestive health with REAL food”. I would really like to make this soup but am concerned it would not be as good without the onions, garlic and coriander. Could you make a recommendation for an alternative herb I could use. Ginger is okay, but alas pepper, onions, garlic out (FODMAPS). Thanks, I really appreciate it! Sorry to hear about your elimination diet. We’re on one, too — although with different foods — and it’s challenging. Hang in there! 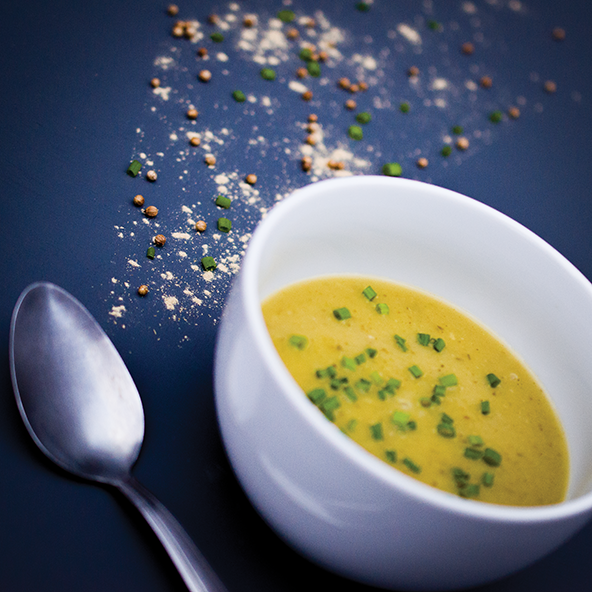 The original version of this soup didn’t include coriander, so it will taste just fine without it. To add some flavor to replace the onions and garlic, sauté a stalk of celery in coconut oil with the ginger. If you can eat chives, you can sprinkle fresh or dried chives on top. I think it will still be good without the onion and garlic — you might want to try a half batch the first time, to make sure. Thanks for the speedy reply! I will try with the chives and let you know how it goes :). PS love Well Fed 2!!! Hello. Absolutely LOVE your new book. Trying to make this soup for dinner tonight out of WF2. Calls for two cups of chicken but doesn’t say what to do with chicken in the recipe. Puree with the rest of the soup or add at the end? Sorry if you have already answered this question. Hi, Penny! That’s a typo in the book… it should be 2 cups chicken BROTH and 2 cups beef broth. Enjoy! This soup is brilliant! (the version from Well Fed 2) I didn’t have high expectations because zucchini is not my favourite vegetable but the soup is simply amazing. Thanks! I think it’s amazing that you tried a soup made with an ingredient you don’t like — so glad you enjoyed the soup! I am not much of a soup person, but I love too cook and I am trying to eat healthier, so I decided to try your recipe. I must say that while it was cooking, it had my mouth watering it smelled so good! Thank you for this wonderful recipe! Received Well Fed 2 for Christmas and just cooked up a batch of this soup. It is absolutely delicious! Looking forward to having some with breakfast tomorrow morning. This recipe is tricky that way! It doesn’t look like much, but then it totally wins you over. Glad you liked it! I made the soup this evening and it did not turn out that lovely yellow color in your picture. It was deep, chocolately brown–not too appetizing to look at. But it tasted delicious, nonetheless. I burnt it–I did not realize that all my broth had evaporated. But it was gone after 45 minutes of simmering. Did I have it simmering too high, do you think? I added some more broth, let it cook a few minutes and then put it in the blender. I didn’t scrape the the charred bottom into the blender. But I think the color was from my beef broth. What’s up with that? Despite the burning and the off-putting color, it was delicious–and the sesame seed oil is a nice addition. How do you think it would do with pork broth? It definitely turned brown because it was burnt. If all of your liquid evaporated after 45 minutes, you really need to turn the heat down. A simmer should barely, BARELY have a bubble on the surface. Yes, pork broth will work. Made this tonight, delicious! Freshly ground coriander and black pepper made a big difference, I think, in a subtly-flavored soup. The zucchini was quite tender and ready for the immersion blender at 15-20 minutes. A keeper! I have to start by saying I don’t like ginger. (positive stuff will come in a minute) I also am just not really a soup eater. I just don’t see the point when there are so many yummy foods to chew. And, I could say it a hundred times more, I don’t like ginger. No ginger snaps, no candied ginger, no ginger. At Penzey’s, in Austin, I could smell the spice blends that had ginger in them before I got near. Nope, not for me. I scoff when the recipe calls for ginger in pumpkin pie. Ewwww… gross. So, I made Silky Gingered Zucchini Soup. Why? because I’m crazy, and willing to try things I don’t like, occasionally. I started with half the called for ginger… and after tasting it, while it was in the blender, I sprinkled a whole bunch more in. I don’t know what it is about this soup, but it is fantastic, and not overwhelmingly gingery. Delightful, yummy, warming (on a VERY cold day here in Austin). Thank you, Mel, for all your wonderful recipes, and for making me find at least one reason ginger should be in my spice cabinet. Thank you for the sweet compliments. Stay cozy with soup… mmmmm. I’m not much of a soup person either. And I’m not a huge fan of green soup. BUT this was delicious. So far everything of yours I have tried has been amazing! This soup is tricky because you’re, like, “Eh, soup. Whatever.” and then it’s AWESOME. Glad you like it, too! I made it yesterday and we (2) almost ate a whole pot . . . I am just wondering how would it taste with fresh ginger . .
I’m new to the blog (and eating) except that my husband (and our home) is vegetarian…and we are in Venice IT this year…so I turn to many places for good veggie recipes for our refined eating regimin..soups fill the bill well for us and oddio – Silky Zucchini & Golden Cauliflower (cavolviore d’oro??!) are truly wonderful! The cauliflower soup is wonderfully filling and ever every so delicious especially. I suspect it’s the coconut oil&milk ‘underlay’ but thanks so much for this contribution. Thanks again for all your hard work for us! 100% yes to fried onion strings… that sounds amazingly delicious. Those Romanian meatballs are one of my favorites! I’ve been eating zucchini soup every day for, like, a year. I just started making it with homemade bone broth, and the flavor difference is amazing. I made this soup yesterday and it was FIRE! (For my sister, that means really good!). Thank you so much! I cry uncontrollably when I deal with raw onions so I left them out but kept everything else the same. I think I’ll make a bigger batch and invite friends over next week. Thanks again!! Ooooo… I want to steal that! “FIRE!” Love it. Glad the soup is a hit! If you want to try it with the onion, you can just peel the onion and cut it into quarters — less chopping should mean less tears. It will get soft enough to puree, even in big pieces. When you eat this soup for breakfast following the whole30 plan, what do you add for your protein? I have heard from some readers who like to add chicken or shrimp right to the soup, however, so you might try that. I like to reheat a cup and sip on it while I make the rest of my breakfast. What about storing in glass containers instead of plastic. Food keeps longer, for sure. I was wondering whether this soup freezes well? I would like to make extra if it does. Hi! Getting ready for another Whole30 and have been casting about for a few more standby recipes. Tried this even though I am not a zucchini fan (although my objection is the texture so I figured pureed would solve that problem). Made the soup as directed from Well Fed 2 (with all chicken broth, and included the coriander). Like the soup, has a nice texture, and almost reminds me of a milder version of broccoli soup. But, my soup has a bit of a bitter aftertaste. Is that normal/a zucchini thing? I think not, so wondering what I might have done (did not brown onions or garlic, did a low simmer for 45 minutes and had plenty of moisture left in the soup). Didn’t get out to the dark garden for chives (thank goodness they are finally growing again!) but will try that tomorrow with my breakfast soup. Love your recipes, thanks so much for all that you do. Hi, Other Mel! I’m sorry! I don’t know why your soup has an after taste. I haven’t experienced that — but I really like zucchini. Anyone else have any idea? This just happened to me, after making a Double recipe!!! I’ve made the recipe many times before and have loved it, but for some reason today, it turned out bitter. Googling says it could have been the skin on the zuchhini. I added lemon juice and vinegar to neutralize the bitterness, and that helped alot!! but then to balance the lemon, I tossed in some cooked green lentils, and it’s fantastic!!!! MUST SHARE! I just warmed up a bowl of this “Silky Gingered Zucchini Soup”, and I am laughing at myself. It tastes RIDICULOUS, it SCREAMS of garlic. NOT MEL’S FAULT!!! That is a hilarious story… but probably not for you 😉 For reference, I usually measure 1 teaspoon of garlic per clove… you are definitely safe from vampires! I just started my paleo/whole30 lifestyle 8 days ago. I followed your recipe to a T. I measured each ingredient and followed the recipe exactly, but my soup looks nowhere as good as yours. Mine is a weird dark green/hunter green color. Although it looked nothing like your soup, the taste was absolutely divine. I am not a soup fan at all, but this soup made me fall in love with soups and now I want to make soup everyday. I look on your recipe page and see only 3 soups! I’ve already made the carrot soup which was just as delicious, but with one soup recipe remaining to try, I am panicking. Pinning soup after soup, Google-ing recipes for house, and I’ve just ordered Well Fed and Well Fed 2. I am desperate for some soup and it’s not even winter! Thanks Mel, for bringing soup back into my life. Yes, I only have a few soup recipes because when I find the ones I like, I just make them over and over again. The sweet potato with bacon is awesome, and the cauliflower is really comforting, too. Happy simmering! And thanks for buying our cookbooks! Starting the (August 1st) “Whole 30” for the 3rd time and I wanted to start it with a kick of something different. I started making this but realized I only had homemade chicken soup in the freezer, no stock left (ohhh noooo)!!!! But I added the soup any way, and let me tell you…it has sooo much flavor and richness to it, and sooooo very comforting. Can’t wait for breakfast! Thank you for the recipe. Have an awesome Whole30! Glad to know your soup experiment worked… awesome! I just got myself to eat smoked oysters (nutrient dense, need the zinc, but have never been a fan) by putting it in a bowl of this wonderful gingery zuchinni soup. I’ve got to let Liz Wolfe know. Not sure if I would like sardines in it, but this was a great into to oysters. Cool! Glad that worked out for you. So many nutrients packed into one dish! Just made this and it was truly excellent! Have you ever tried this soup with fresh ginger? I’m wondering… is there a specific reason this recipe calls for the powdered variety? It calls for powdered because I’m lazy and grating ginger is one of my least favorite kitchen tasks. I just made this recipe using fresh ginger and it is to die for! I tossed in 3 chunks (so technical, I know) and also zested a little into the broth. I used the vitamix to blend it all together and it’s fabulous! This soup is amazing! But cursed! I just lost a quart of it when the bottom of my mason jar literally FELL OFF when I picked it up. I let the soup cool and everything. Regardless, I’m doing my first Whole30 and over half of my recipes have come from your site. I have yet to be disappointed. Thank you for helping me make this program delicious! Oh, no! I’ve had a soup fail like that before, and it’s really sad. But YAY for doing your first Whole30! Congratulations! I’m really glad you’re enjoying my recipes. I was wondering if I could throw all ingredients into my Vitamix and let it do its magic? I’ve never tried that, so you’d be experimenting. You might want to try a half batch first, just in case. Can you freeze this soup? Would think so since there isn’t any dairy. Thanks! Yes! Just defrost in the fridge and reheat gently when you’re ready to eat it. I am on my 7th day of my 2nd attempt at Whole 30…all I have to say about this recipe is THANK YOU!!! BOMB.COM!! Congratulations on a week of Whole30-ing! You can do it! Glad you liked this recipe. Glad you like it! And yes, it’s pretty cool how zucchini does that “get creamy” trick. Day 11 of Whole30. “Adore” just isn’t strong enough to describe my feelings about your recipes, but I’ve still been in the “over it” stage the last few days of my W30. (I can’t remember if that fits into the timeline there or not, heheheh.) Anyway, I’m soup-obsessed, and I made this tonight…and I’m recharged, girl! SO satisfying and creamy, and it’s going to be an awesome Friday brekkie with an egg, I think. Thanks as always! Congratulations on 11 days of awesome! I’m so glad this soup gave you a needed boost. Thirty days can feel long, but you got this. Happy Whole30-ing! This is amazing!!! As it was cooking, I thought that it may not have a ton of flavor since there aren’t a lot of ingredients but it is fantastic. I didn’t change a thing, which is rare for me. I am a soup person, so this has me excited!! Oh….my….gosh. This is delightful. I had a hankering for a curry flavor so I added some yellow curry powder and just a splash of coconut milk. Ah-maz-ing. I’m looking forward to having it for breakfast. Just made this to go with dinner and God bless you it is delicious!!! I love your blog, I’m on day 5 of my whole30 journey and I can tell I’ll be using many of your recipes. Thanks and keep up the great work!! Wasn’t crazy about it last night after I made it and was dreading lunch today. But I tossed in some of the shredded italian pork roast (I like my soups to be chewy and thick) and heated up – it is MUCH better today! I’ve made this soup a couple times now, and, as everyone says, it’s AMAZING! 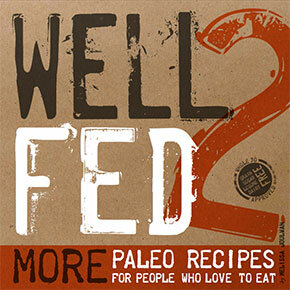 I make it in the slow cooker, and finish it with a generous spoonful of Better Butter from WellFed2 before pureeing. So good, and a delicious way to get in another serving of veggies. 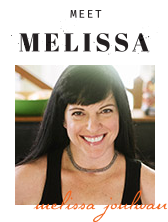 Love your recipes, Mel. I just came by to see if the answer to “can you freeze this?” was in the comments. And it was! So I’m staying to say how much I love this soup. I couldn’t imagine soup for breakfast before…but nom!! Recently decided to do a Whole 30 (starting in Jan), though I generally eat paleo (trying to fix my thyroid). 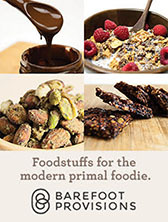 Recently discovered you and your site and your books and I am so much less scared about trying to eat next month!! YAY for a Whole30 in the new year. You’re gonna KILL IT! I’m glad you took a chance on this soup for breakfast — super comforting, right?! I’m *just* about to make a batch because after lunch today, we’ll be all out. I make it every week with bone broth. Glad you’re feeling more confident about your Whole30. You can do it! Making batch #456 – still the favourite soup recipe! 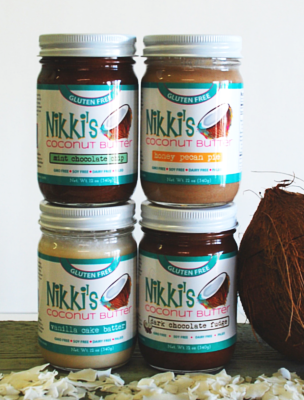 Much love for this tasty nutrition! This soup is awesome! I love it for breakfast. I have made your soup many times and it is absolutely delicious. I have added a teaspoon of curry powder which gives it a little more of a kick. I have also adapted the recipe and used butternut squash instead if zuchinni and it is still wonderful. Thanks for posting such an easy and tasty recipe. I know this is an eternity after you posted this recipe but I made it today and it was AMAZING. I’m not much of a soup person unless it is full of cream. My fiance asked me if if was broccoli and cheddar (he may need to get his taste buds checked). After I said zucchini and ginger, he still kept asking me “how much cream and butter?” So delicious and creamy, it took a lot of will power not to eat the whole pot at once. I’m really happy you both liked it! I literally make a batch every week and eat it at lunch almost every day. It’s a tasty way to get some good bone broth into my belly. Happy cooking! This is my “breakfast” soup. I absolutely love it! I’m so glad you like this one! Just read your post… those cheese crisps look really good! Happy cooking to you. What type/brand of chicken broth do you recommend? I want to make sure I buy something Whole30 compliant. Thanks!! You just really need to read the labels to find one — I use Pacific Organic, but I think it has some sugar in it. When I’m doing the Whole30, I use homemade broth. It is snowing like crazy and I have this simmering on the stove. It smells delicious. My husband said he was afraid, but he will definitely try it. He doesn’t care for squash or veggie really. I’ve been doing whole 30 now since 1/1/2015… so I guess that would be whole 52 so far. I feel so much better, but I think I haven’t been eating enough veggies since I’ve been dealing with constipation. I eat very well when I have the time to plan and prepare, but sometimes my schedule is awful. I am excited about this soup. It smells divine. I love Ginger and spicy things. I am hoping my husband & kiddos will like it too. I have wanted to make this recipe for quite a long time and never did. Absolutely no good reason. Today, however, it’s another snowy day on the east coasat and I decided this would be lunch. I made in my Vitamix and I’m now licking the blender clean. The ginger makes this soup fantastic! YAY! Glad you gave it a try — and very glad you liked it. Enjoy! Thanks you for this amazing recipe! I absolutely love this soup. I have made it twice in a week!! I just made this soup with my homemade chicken bone broth and it is AMAZING!! I have tried a few of your recipes and they are all delicious. Thanks so much!! Right on! Glad you like it! When I get home from PaleoFX, I’ll be making a bone broth batch, too! I’m just beginning my journey to health and freedom from unhealthy food addiction. Green veggies are something I am forcing into my diet. I made this and figured I could just chug it to “get it down”. But OHMYGOSH…it’s so yummy I can hardly keep myself out of it. I think me and your blog and your two cookbooks are going to be super close during this process. Thank you so much, I am encouraged and excited about this! Congratulations on committing to new, healthier habits! I’m so glad this soup was a happy surprise. I have lots of tasty veggie recipes, so I hope you find some new favorites. GO, VEGGIES! Best! Soup! Ever! OMG I had no idea what to expect and seriously even though I already ate dinner, I still had to have a small cup of this stuff when it was done, which was late at night (sshh don’t tell the Whole30 folks. I promise not to go to bed for another hour 🙂 ) Thanks for this recipe. It will be made again during my Whole30 and will likely become a go to recipe for me. Thanks again. YAY! Glad you like it! I make a batch every week, so I always have it in the fridge. Great for breakfast! This is seriously one of the top 5 soups I’ve ever eaten, and I can’t remember the other 4. Amazing! I added about 1/4 cup of just the solid part of coconut milk for added silkiness. This will be my breakfast for probably most of my 4 weeks on Whole 30. Thank you!! YAY! I’m really glad you like it! It’s a favorite in our house, too… especially with homemade chicken broth. SO tasty. Congratulations on Whole30ing! I made this soup today on my 2nd day of Whole 30. It is absolutely divine and I will make it again and again!!! Thank you! Congratulations on Whole30-ing! Glad you like this soup. Enjoy! I did not think I would really like this but just had it for lunch and LOVE it! So delicious! Sweet! Glad you liked it! I’m so happy you like it! I make a batch every week — it’s a great way to get a good dose of bone broth and veggies at once! Strangely, I didn’t like this soup much the first time I made it… Flash forward a few months, I make it again…. I’m obsessed. I could drink the entire batch for breakfast. I sometimes add cooked chicken… Maybe some sesame oil… Maybe sometimes a few peas… I love this soup. Hooray! I’m glad you gave it another shot. Sounds like you’re having fun accessorizing it — love that! Thank you so much for your website. This is the first recipe I made. This is awesome soup! I am eating it right now — for breakfast!! I started the Whole 30 yesterday and actually did your whole week 1 cookup. Wow, a lot of food. TIP: added about 1 inch of tumeric root, minced, with the garlic. I love the color and the antioxidant/anti inflamatory properties of this gem of a root. I don’t know what makes it so sweet.. maybe my onions? Happy Whole30-ing! And YAY for soup for breakfast! Hope you have a great month! How many cups approximately of zucchini is it? Have you tried yellow squash mix? Thanks for the great recipe! Sorry… I always weigh the zucchini, so i’m not sure how many cups it is. Maybe 4-6? I’ve tried replacing 1 zucchini with 1 yellow squash and it was good, although a little sweeter than just zucchini alone. I’m onto my second batch of this soup now. I can’t seem to get enough! Like you said, it’s sooo creamy. I added a bit of cayenne ( love the extra kick it gets ) and squeeze a bit of fresh lemon juice on when I’m about to devour a bowlful. Looking forward to checking out new site/layout. This is incredible! I think I am making a huge batch to eat from next week. To turn into a full meal I boiled in some ground pork (seasoned with salt and garlic). Didn’t really do anything to improve on taste or anything as it already tastes so good, I just didn’t feel like making multiple dishes for lunch today. That sounds tasty! I’ve literally eaten a bowl of this soup every night at dinner for months. I love getting a dose of bone broth and veggies all at once. Thanks for letting me know you like it! Such a great recipe! I made as-is and topped with chopped tomato and unsweetened coconut. I also love this soup for breakfast, or really any time of day; it’s definitely a new standby to always have in the fridge. Thank you! Love that photo! Thanks for sharing. Hey, i’m just starting out with my whole 30 and wondering if there’s something you could recommend substituting the ginger for? I can’t eat ginger but would love to try this out!!! I have two options for you: for a lightly flavored option, use 1 teaspoon ground coriander instead… for a stronger, more curry-like flavor, use 1 teaspoon ground coriander and 1 teaspoon ground cumin. Hey Melissa! I’m on my 1st Whole30 and your site has been awesome! Thanks so much. I made this soup, and it’s so good! Especially topped with a drizzle of sesame oil, like you said. But mine doesn’t seem as “thick” as yours, I used 4 HUGE zucchini. I was half tempted to add a 1/2 cup of coconut milk but you advised against it, so I didn’t. Any other suggestions? Maybe I’ll add an extra zucchini next time. This batch will last me next week as well (going to freeze half) but up next is the cauliflower soup! Thanks again! Congratulations on whole30-ing! That’s so great. I hope you’re feeling awesome. The thickness of the soup varies based on how much water is in a particular zucchini. If you puree it, and you’d like it thicker, just return the soup to the pot and simmer it uncovered until it reaches your desired consistency — the evaporation will make it thicker. You can also try adding additional zucchini. Note that the texture changes a little bit when it’s frozen and defrosted. It still tastes really good, but it’s not quite as creamy as before freezing. Enjoy! What an awesome tip! Thanks again! This soup never disappoints! 🙂 I made it with grilled chicken breasts and a turmeric browned butter drizzle (totally NOT whole 30!). Even got my 84 year old dad’s stamp of approval! Thanks for always providing great dishes!! This soup is delicious! I’ve been following your lead and having it for breakfast and it’s a #gamechanger.I’m wondering, do you have a protein on the side or does the chicken broth in the soup stand in as your protein? I’ve been having some of your equally delicious Italian Pork Roast at breakfast but wondering if I’m overdoing it on the protein. Thanks! I just made this in the Instant Pot in 20 minutes from chopping to eating! Great recipe! I just posted asking about doing this in the instant pot….missed your post the first time through. thank you!!!! Just made this soup- I’m on day 14 of the whole 30 and this was a nice change up! Thank you for sharing this recipe! You’ve made it fun to try some new ways to up my veggie intake!! It was DELICIOUS! Congratulations on two weeks of Whole30-ing! I’m so glad you liked the soup. Hope the rest of your Wh30 month is awesome! I LOVE this soup! I made it with a false sense of hope, and even during the process I was doubtful – but i hung in there and followed your recipe exactly…and I am ever glad I did. It is AMAZING! I am on day 14 of Whole30, and this soup has been a God-send. 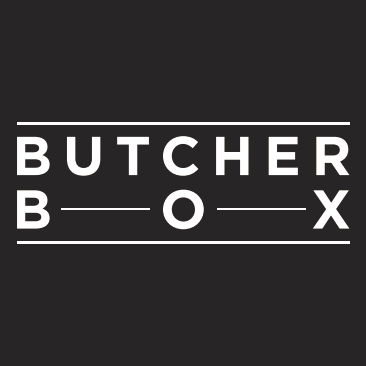 Your website is incredibly helpful and I have been encouraging my fellow whole30ers to check you out. Thanks for all your hard work. Thank you so much for these recipes! Favorite soup recipe of all time! Thank you! I really like this soup. But I use fresh ginger. Yeah, I don’t like having to grate it, and maybe when I tried it with powdered ginger the ginger was stale but fresh beats powered by a landslide. Fantastic soup – even my non-soup-lover HB thinks it great. I used fresh grated Ginger (about 1 tbsp). Also, I used chicken stock that I had made with artichoke leaves – it adds a whole new dimension to the flavor!! Loving this on day 5 of my first whole30. Happy Whole30-ing! I’m glad the soup was a win at your house! Thank you for the best soup recipe ever! It is absolutely delicious and has completely solved my breakfast problem. Also, everyone who tastes it thinks I’m some sort of soup goddess and much as I want to take all the credit, I’ve sent them all a link to this recipe! love love love this soup! I’m soup person – breakfast, lunch, dinner, in between. Soup just makes me feel good. This recipe is especially easy, quick, delicious and satisfying. As far as the containers: Mason jars! They are heat and cold friendly and you can freeze in them for a later date – but who has leftovers! I’m so glad you can add this to your soup arsenal! I literally eat it every day. And YES to Mason jars! I’ve been eyeing this soup for a while and finally made it today! I used turkey bone broth (my favorite part of thanksgiving) in lieu of the chicken stock and it gave it a fantastic richness. I will say I spaced during the directions and added 8 cups of broth instead of 4. I’d say it’s more of a sipping soup from a mug now instead of a bowl soup but I’m thrilled with my snafu. I will follow the directions better in the future but in the meantime this tastes amazing and I’ll be drinking it all week. Thanks Mel. I checked out your site after hearing you mention your book on What Should I Read Next last week, and oh my goodness, you have saved our Whole30!! This is our third one, and I usually get tired of our recipes after about day 15. This time, I have been mixing in some of your recipes. This one is one of the best- and I never like soup (didn’t you mention that above?). So delicious! Already looking forward to making it again! I’m so happy you found me through that awesome podcast! Have fun with all the new recipes! This is one of my favorite recipes, too. I literally make a batch every week so it’s easy to add extra veggies to any meal. Happy Whole30-ing! Hi! gearing up for amother round and wanted your thoughts on making this in the instant pot t9 cut down the time. thoughts? Is there nutritional information available online for the soup? and how well does it freeze? It freezes fine, but I recommend blitzing it with the stick blender after it’s defrosted and reheated to make the texture creamy again. It can get a a little grainy after it freezes/defrosts.